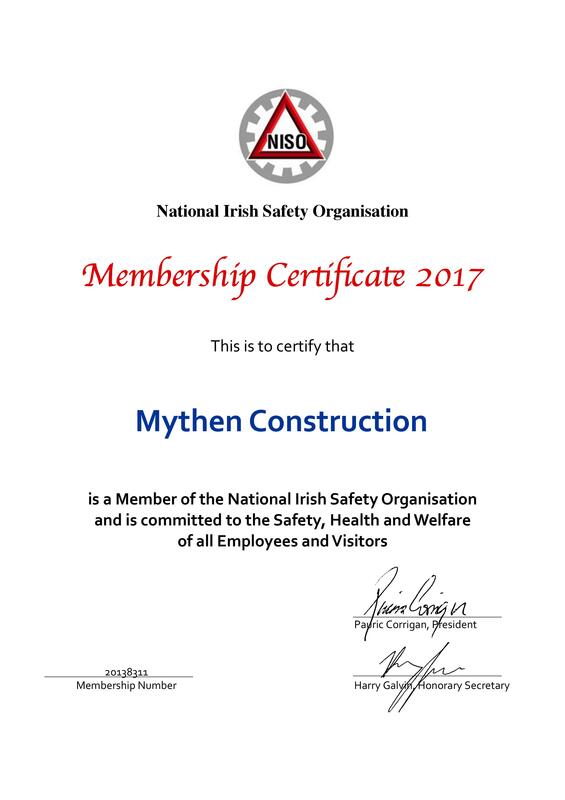 Mythen Construction Limited Is committed to a process of total Quality. In order to attract and maintain Clients, we must give a service of the highest quality. To achieve this objective and remain competitive, it is essential that all our operations are carried out in the most efficient and cost effective manner and that everyone in the company adopts a policy of “Right First Time”. Our goal is to provide comprehensive services of a high added value, by focusing our Quality Policy on the fundamentals of optimising resources, maximum competence and motivation of our personnel and proper staff management. We must meet customer expectations in terms of price, deadline, and quality. It is essential that everyone working in the company is fully aware of their role within the organisation and their responsibility for carrying out this function to the highest standard as part of an overall team effort. The company’s ongoing success is dependent on the quality and commitment of its management and staff. We commit that the necessary investment in training, equipment and facilities will be provided to ensure this commitment achieves its’ maximum potential. 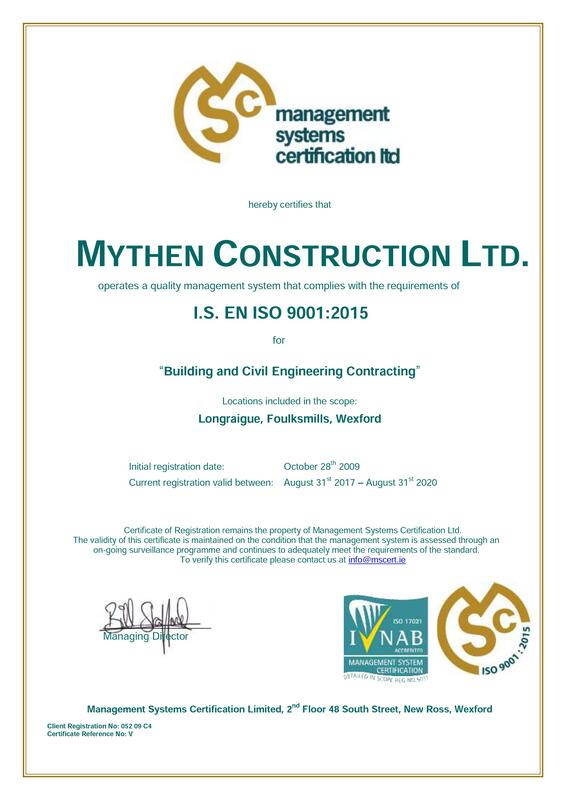 The Directors of the Company are totally committed to the above policies and the maintenance of ISO 9001: 2015. Our approach of ensuring optimal customer satisfaction means we will constantly review and refine our systems to continually improve quality standards.